Shocking a pool is essential for maintaining a contaminant free pool, not only does it kill off algae spores before they multiply into algae colonies, it also eliminates a number of organic contaminants. For example, urea and ammonia have the ability to create a hazardous swimming environment, causing odor and both skin and eye irritation. Many pool professionals recommend that a pool is shocked about once a week throughout the summer, there are also a number of pool product manufacturers that justify doing so. Living in Phoenix, Arizona, for example, provides a rich concentration of a multitude of pollen, therefore shocking your pool after pollen blooms is a good idea. In addition, rain fall and wind storms have the ability to push unwanted spores into your outdoor getaway, so it is wise to shock them out of existence. Lastly, it is recommended to shock your pool after any pool parties or situation that involves a large quantity of people using the pool. Fortunately, the process of shocking a pool is not complex enough to shock you into exhaustion. 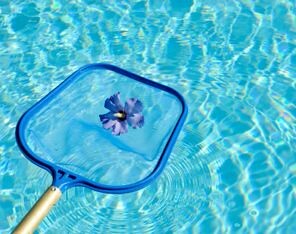 Begin by removing any debris from the pool and skimmer baskets, any foreign objects in the pool will absorb the chlorine, forcing you to use more than is necessary. Before adding the shock treatment, test the pH level of your pool. Anywhere between 7.2-7.4 is nearly the perfect environment to add the shock treatment to. Next add about five to ten parts per million of chlorine from you favorite brand of shock treatment. Do not mix or dissolve the shock treatment before adding it. It is also essential to read the directions on the kit you purchase so that the shock can be guaranteed one-hundred percent successful. After about thirty minutes, another test of the chlorine level in your pool can be conducted. When the test strip reads about 4 ppm, or less, you have successfully shocked your pool. Shocking your pool is similar to adding fuel injector cleaner to your car, you are annihilating any grime that has built up and has the potential to clump together. If the proper chemical balance and shock treatment routine is maintained, bacteria and other potential contaminants will keep a safe distance from your water filled haven. 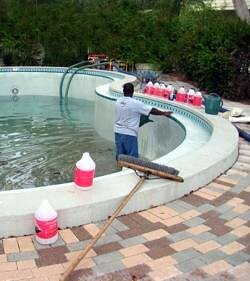 So make a goal to keep your pool the cleanest on the block and do a routine pH test and chlorine shock. 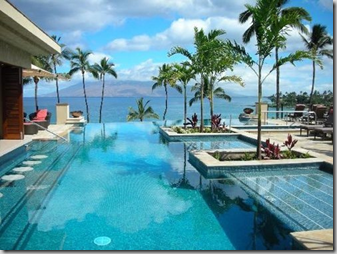 If you are looking for professional pool service in Phoenix, take a moment to visit with Phoenix AZ Pools and quickly receive multiple estimates from reliable pool companies.